This one day course is ideal for the engineer looking to start or electrical specialists who want to expand their knowledge in hazardous locations. We will explore all concepts related to above ground hazardous locations. Hazardous (classified) locations, as defined in the "CE Code," are locations where fire or explosion hazards may exist due to the presence of flammable gases, flammable-liquid-produced vapors, combustible-liquid-produced vapors (Class I), combustible dusts (Class II), or ignitible fibers or flyings (Class III). There are two independent classification systems as described in the "CE Code." One system, found in Annex J18 of the "CE Code," divides all hazardous (classified) locations into Classes, Divisions and Groups. Division 1 is a location where an ignitible concentration is present under normal operating conditions. Division 2 is a location where an ignitible concentration is not likely to exist under normal operating conditions. In Canada, equipment which is used in a Hazardous Location (HazLoc) is required to be certified. The certification process requires a detailed analysis of the subject equipment to ensure that it meets the applicable standards for electrical safety, and also to ensure that an electrical fault does not initiate a condition that could lead to the ignition of a hazardous substance. 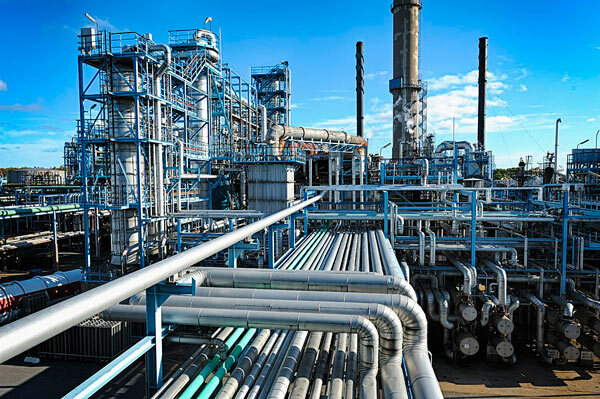 Our scope of certification services cover equipment that is used in explosive atmospheres, as well as equipment to be used in general purpose locations. Because of the elevated risk of injury to persons and property involved when certified equipment is used in a Hazardous Location, a significant amount of analysis is required to ensure that the Certification is done correctly and no aspect of the equipment or installation is overlooked. There are many design considerations and methods of protection that can be employed to achieve the minimum level of safety that is required when operating electrical equipment in a hazardous area. A proper analysis and system design starts with the identification of the explosion hazards involved. The industry standard for documenting this is by means of a Hazardous Area Classification Drawing. This drawing needs to be created by a professional engineer who is licensed in the province of the installed equipment. Every electrical component in the system being certified is individually verified to ensure that it meets the necessary design and approval criteria for use in the intended HazLoc environment. Installation methods are also verified for conformance to the appropriate codes and standards. Approval marks are checked for authenticity and validity for the specific application. Any required testing is performed using NIST (National Institute of Standards and Technology) traceable calibrated instruments. Test results are verified for acceptability and documented. The entire report is carefully reviewed by an independent senior engineer for accuracy. Labels are then applied to conforming product to identify the equipment covered by the detailed certification report. We can present this CE Code and Hazardous Locations Systems Course to your electrical engineering and maintenance staff, on your premises, tailored to your specific equipment and requirements. We are ready to help design this program for you. Click on the link below to request a FREE quotation.